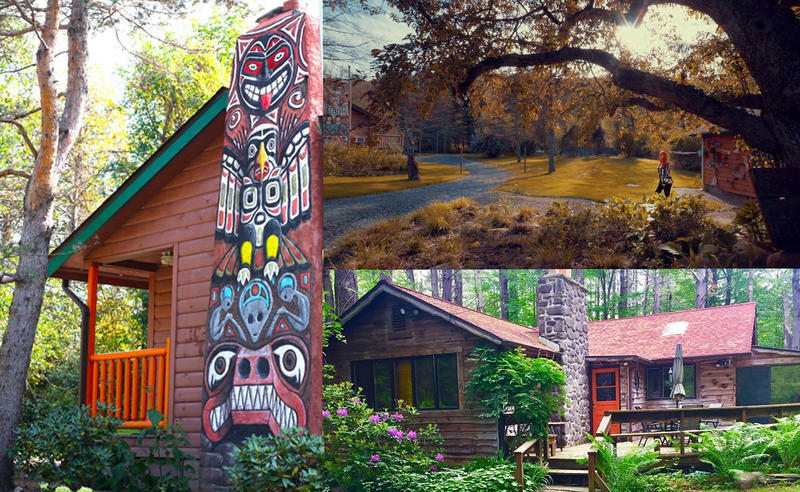 Some of the "cozy cabin style" accommodations at Kate's Lazy Meadow in Mount Tremper, N.Y.
Kate Pierson spent decades on tour as one of the vocalists of the legendary rock group the B-52s. You know – the big hairdos? The surf guitars? Love Shack? Turns out, at the same time, Pierson also collected art, antiques and other decor. That collection is now part of her offbeat side project. A cute little roadside motel – a real-life “Love Shack” – just outside Woodstock, New York.